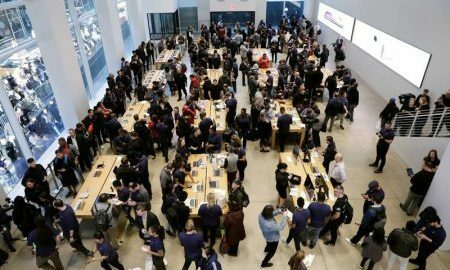 NEW YORK (Reuters) – Apple Inc shareholders Jana Partners and the California State Teachers’ Retirement System are urging the smartphone maker to take steps to address what they say is a growing problem of young people getting addicted to Apple’s iPhones, Jana partner Charles Penner said. Jana and CalSTRS together control about $2 billion (£1.4 billion) worth of Apple shares, the Journal reports. The phone addiction issue got a high-profile boost from the former Disney child star Selena Gomez, 24, who said she cancelled a 2016 world tour to go to therapy for depression and low self-esteem, feelings she linked to her addiction to social media and the mobile photo-sharing app Instagram.